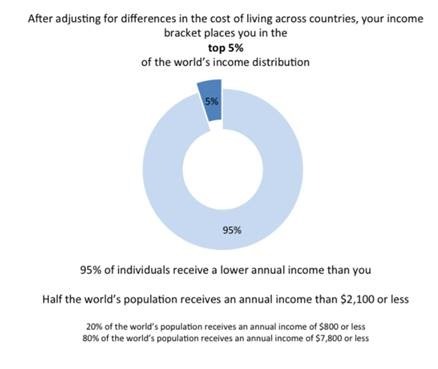 Cross-posted from the Inequalities Blog. For all the attention that economic inequality has received in recent years, it is too rarely noticed that the largest disparities in living conditions are between people in rich countries and those who are poor by global standards. Yet for those of us concerned about global inequality, the political trends of the past few years in rich countries have been dispiriting. Foreign aid remains politically controversial, hostility to migration appears to have risen, and trade protectionism seems likely to increase. In a recent article in The Journal of Politics, Gautam Nair suggests one reason for this apparent lack of concern for the global poor is that people in rich countries do not appreciate just how well off they are by global standards. If we can correct these misperceptions, he suggests, support for international redistribution will grow. ← What has Jeff Bezos done wrong?